So Im back again with a new video! 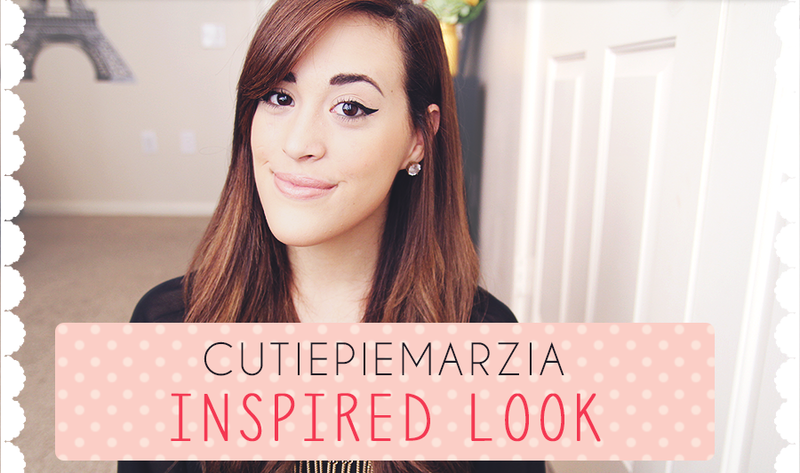 And for this weeks video, I went for a Marzia inspired look. 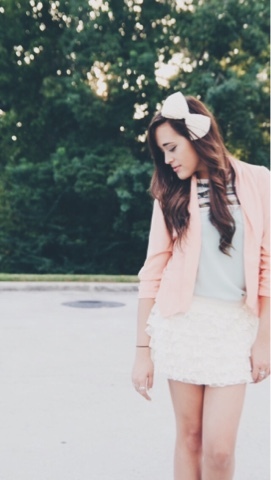 She is a YouTuber by the name of CutiePieMarzia and she is a beauty and fashion YouTuber from Italy. 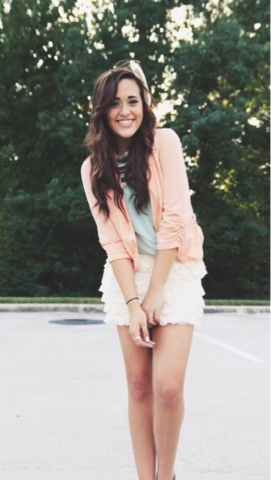 She is so cute and I really enjoy her videos. So this week I wanted to sort of look like her. After I made this video I realized I said the same things over and over again in the video, so dont make fun of me haha :). I sound dumb but oh well! Let me know who your favorite YouTuber is!! Oh and let me know some of your ideas for Halloween make up/ costume!! I hope that you are all having a great week so far. 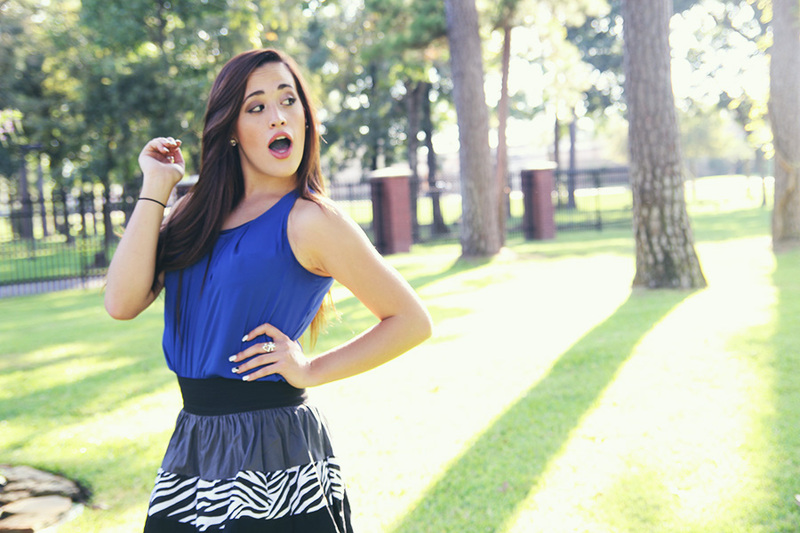 So today my best friend Sarai (Sara-e) where feeling a bit bored and headed to the park and took some shots in some cute clothes that we found in our closets. Now please don't take these pictures to seriously, I like to have fun and not think about taking pictures so seriously. I like to have fun and I feel like there are a lot of people out there that take this too seriously when they should have fun but yeah! We had so much fun today at the park. We where the only ones so we were having a blast. Taking random and funny pictures. Oh and I also got attacked by bugs but that was the only down side for today. We didn't have a lot of different outfits to show you all, but with these we were able to have a blast and feel cute and confident. I guess I will proceed to talk about my outfit. Well what you see in the pictures is really what it is. I am wearing a zebra skirt that is way WAY too short and one of my favorite Charming Charlie shirts tucked in. Then I also wore my cheetah flats. Yes I know, Cheetah and Zebra Maria? Yes! I like them and they matched so whatever :). 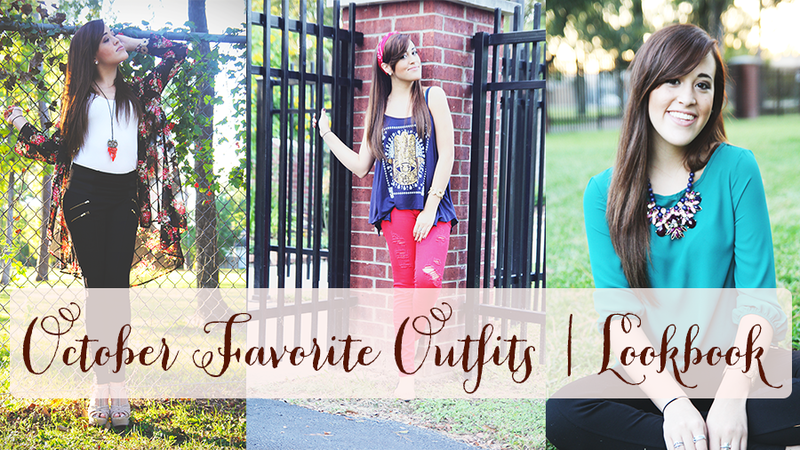 But anyways, it was such a beautiful and hot day in Texas and these outfits were perfect for this hot weather. Skirt: Too old to remember where I got it. 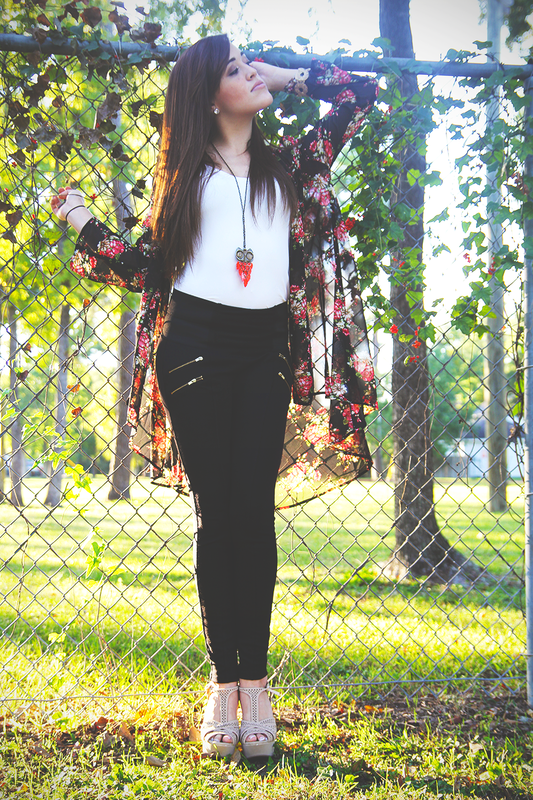 This outfit is so cool and colorful. I just added color on color. The orange in my opinion, tied it all together and I loved the turquoise with the lime green top. With this outfit, I won't get lost easily because it was so bright ! And This is my best friend Sarai! I really hope that you all enjoyed this post and I am currently uploading my new Halloween make up video and should be up tomorrow! Have an amazing week. Hello peeps! I am currently writing this in the middle of the night ( 12:42am to be exact ) because there is a storm outside the power went out, and now I can't sleep, oh and I have to wake up early to go to work (it's gonna be a fun night). So here I am on my mobile app which I just downloaded, and writing a post. I know it's October and this is not a typical fall outfit but I don't care. It is still hot outside and I wanted to show of this cute lace skirt. I decided to add some cute colors to it. 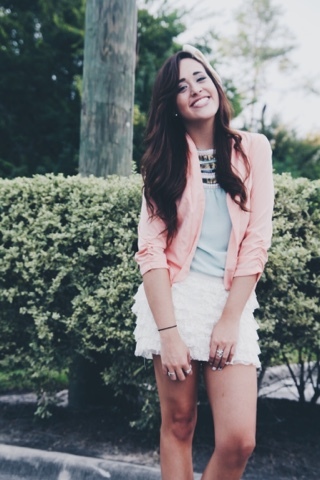 A mixture of mint and coral because those are my favorite combinations. I know you're suppose to dress according to season but who cares ? If you want to wear shorts in the middle of fall or winter or whatever, go for it. Have fun with what you wear and stand out from the rest. Just make sure that if its cold, then you know.. But if you live somewhere where it is hot then why not ?! That even better because you can wear whatever whenever! Anyways. 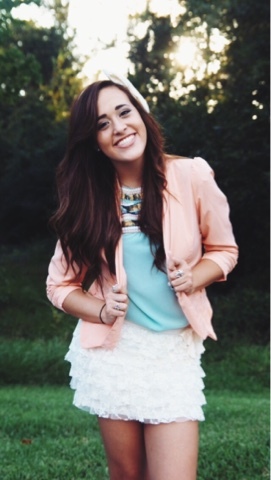 Here is my outfit that is out of season because I like that skirt and I wanted you guys to see it. And my giant bow of course. October is finally here! I love fall and I love Halloween so that gave me an idea to create different Halloween/Fall themed videos and post to celebrate this amazing season. 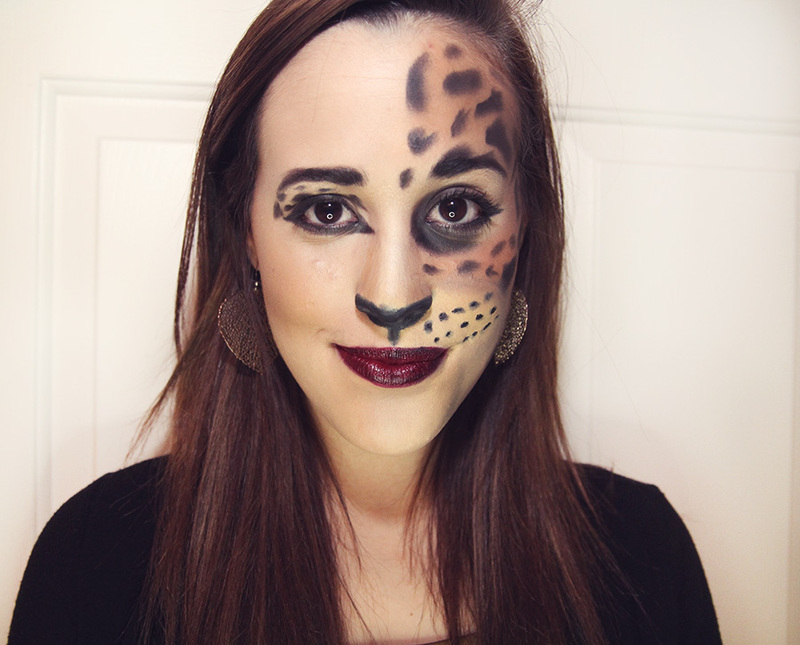 For the first Halloween Themed post I decided to go crazy and create an easy cheetah print make up using normal make up. I didn't go and buy any Halloween make up I just used my normal daily things. 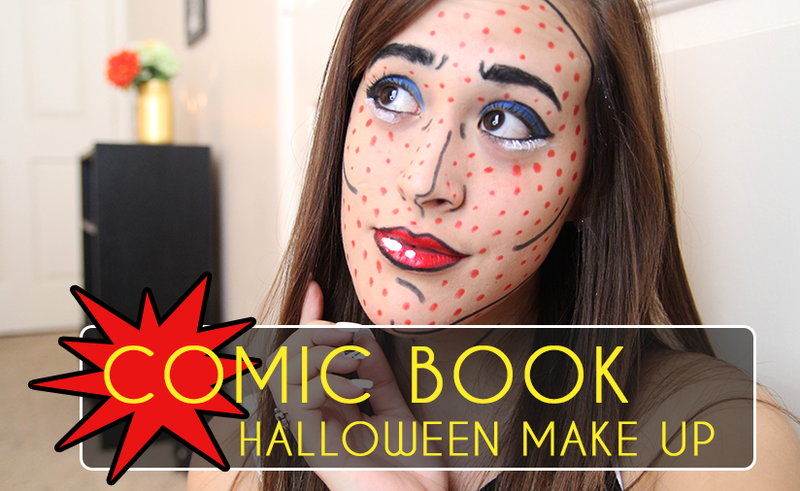 This is a great look for a last minute halloween party or just a quick look! I filmed a little video for you all so I hope that you all enjoy it and make sure to SUBSCRIBE to keep up with all of my other Halloween and Fall themed content that are coming this month! Have any suggestions on some Halloween make up you would like for me to try? Leave me a comment down below!! 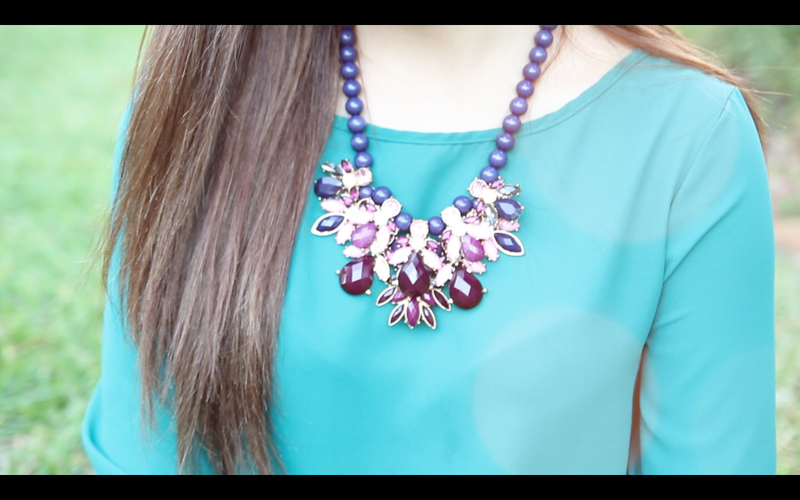 And with that, I hope that you enjoy my video and I am sorry about that annoying gum! I didn't even realize I had it until midway and it drove me bananas!! !